The Federal Court ruled Tuesday that Metis and non-status Indians qualify as "Indians" under the Constitution Act of 1867, and therefore fall under the jurisdiction of the federal government. Both groups had been in a sort of jurisdictional limbo for decades. Metis leader Harry Daniels-- the now-deceased plaintiff in the case-- had sought to have the court clarify whether Ottawa or the provinces were responsible for the more than 600,000 aboriginal peoples across Canada who are either Metis or live off-reserve. Daniels wanted all natives to be declared “Indians” according to the legal definition– a request that was granted with Tuesday’s ruling. 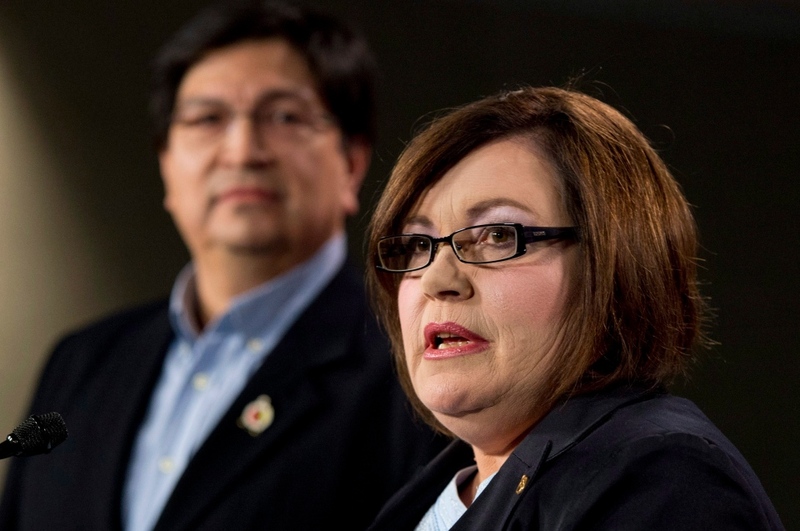 “Today’s decision will mark a new relationship with the government of Canada,” said Betty Ann Lavallee, national chief of the Congress of Aboriginal Peoples. The failure to recognize all natives’ rights in the past has led to “many, many years of suffering for off-reserve aboriginal peoples,” Lavallee said. The Daniels case sought a ruling on the Crown’s "fiduciary duty" to Metis and non-status Indians. It also asked that the court agree that Metis and non-status Indians "have the right to be consulted and negotiated with, in good faith, by the federal government on a collective basis through representatives of their choice, respecting all their rights, interests and needs as Aboriginal peoples." Those two requests were dismissed by the court. The ruling stated, however, that fiduciary responsibilities will flow automatically now that the status of the groups in question has been clarified. The Congress of Aboriginal Peoples and several Metis and non-status Indians had taken the federal government to court in 1999 alleging discrimination because they were not considered "Indians" under a section of the Constitution Act. They argued they are entitled to some or all of the same rights and benefits as First Nations peoples living on reserves, including access to the same health, education and other benefits Ottawa gives status Indians, such as being able to hunt, trap, fish and gather on public land. 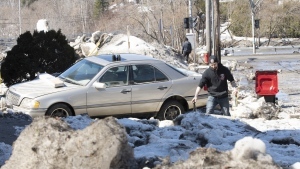 The federal government issued a statement saying it was looking at Tuesday’s decision. "We are reviewing the court's decision to determine the next steps. As the Federal Court stated, this decision is not about 'the interpretation or application of particular rights either under the Constitution or under specific agreements, nor is it about aboriginal rights,'" said Jan O'Driscoll, a spokesperson for Aboriginal Affairs Minister John Duncan. But Ron Swain, the national vice-chief of the Congress of Aboriginal Peoples, urged the federal government not to appeal the court’s decision. The ruling comes at a tense time for Ottawa and aboriginal peoples. Attawapiskat Chief Theresa Spence is in the midst of a hunger strike, demanding a meeting between Prime Minister Stephen Harper and First Nations leaders to discuss treaty rights and the government's omnibus budget bill. That meeting will take place Friday. 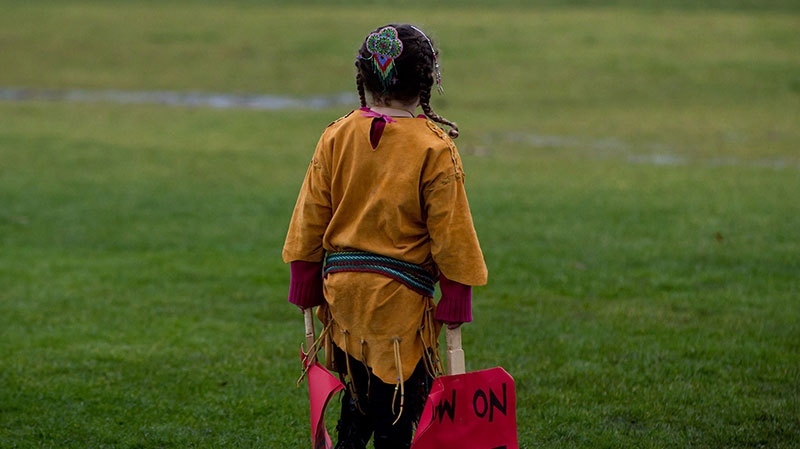 Her protest helped draw attention to Idle No More, a grassroots movement calling for a renewed relationship between First Nations groups and the federal government. The movement has included flash mobs, demonstrations, and road and rail blockades. Swain said the Congress of Aboriginal Peoples wants to meet with government representatives to clarify exactly what the court’s ruling means for off-reserve natives. “We want to create a negotiation table with the federal government to discuss and talk about what this means, what kind of programs and services we can put in place for our people,” he said.